Buddha Purnima in the coming week featuring a series of programmes. sermon and is deemed to be one of the most sacred places by Buddhists. pilgrimage to those places sacred to the memory of the Enlightened One. After the Buddha attained enlightenment in Bodh Gaya he came to Sarnath and delivered his first sermon. Buddhist monks and scholars from across the world throng Sarnath for the two-day festival in Sarnath. performances will be held by the tourism department. on Buddha Purnima at Sarnath. produce that kind of fruit. Those who do good will reap good results. the Awakened One and his message of peace. Some of these Buddha statues are among the largest in the world. A comparison between these and other great statues in the world can be found here. figure stands at a full 17 meters (56 feet) tall and weighs 320 tons. statue and restored it to its full height and stature. Monastery, symbolizing harmony between man, nature, people and religion. various representations of important events in the Buddha’s life. Buddha statues in the world. measuring 7 meters (23 feet) high. The Ushiku Daibutsu is located in the city of Ushiku in Japan. constructed nearly 200 years before Bangkok became Thailand’s capital. 15 meters high, and commemorates the passing of the Buddha into Nirvana. washed away in a tsunami in the 15th century. one of the oldest and most famous Buddha statues in the world. ceremony at the changing of the seasons. popular tourist attraction in China. May this day be as happy and gay as lily in May! short, he was a prince. Birth 563 BC, Lumbini, India . the child was only 7 days . for winter and IIIrd- for autumn. He had all the pleasures and luxuries of the life. equal for all & equally implemented. The Sangh had an Army Chief called Senapati. and Koliyas began over the water of the Rohini River . order of the Army Chief. the forces and participate in the war against the Koliyas. consent to be hanged or exiled. property of his family members. presence of his wife and parents. in the HAPPINESS OF MANKIND. – this is reasonably incorrect. At that time, there were chiefly three Acharyas. He went one by one to them. First he went to the Ashram of Bhrigu Rishi. HEAVEN AND THE GOD AS WELL. Sankhya philosophy and learnt the Seventh stage of Meditation. the real experience of these things. thought – Now, I would myself have to find out the answer of my problems. GURU. HE ATTAINED THE WISDOM, THE SUPREME KNOWLEDGE BY HIS OWN EFFORTS. in the world and second, how to remove this suffering and make mankind happy. That Tree – Bodhi Tree, The Place – Bauddhagaya. Perfect Enlightenment. A formulae based on - Optimism into Pessimism. This is a NEW WAY OF LIFE. which is known as Buddhism in the world. Ambedkar, the prophet of Buddhism - The Buddhism is a happy way of living i.e. to lead a HAPPY, PROSPEROUS AND JOYOUS LIFE. Sorrows i.e. the carrier of the humanity from sorrow to happiness. happiness, a philosophy to be happy! We must celebrate our all festivals in a Pure Religious Way . some articles , are false Buddhists. If you are reliable and have a highly professional telephone presence, a virtual call center business is a business idea you may want to explore. Startup costs are low, and there is the potential for high profits. Virtual call centers are typically operated as home-based businesses. There is a growing demand as businesses are reverting to live help for their callers. It’s an excellent business for people who are outgoing, and love to talk and help others. You can service local clients as well as remote clients via the Internet. You can expand as the business grows by using other virtual workers. You need to have a consistently pleasant voice, professional phone etiquette and excellent organizational skills. printer, good quality, and a multi-line phone or virtual phone system. You’d have an initial investment for home-based call center equipment. You may need to be flexible on your hours of operation and willing to work evenings and weekends. The greatest competition comes from offshore services, so you need to differentiate yourself. It can be challenging to market your business and find clients. The end of trade secrecy in software source code could mean the end for larger companies, which are more sensitive to the smallness of margins, as it will cause a slip of their market position and competitive edge against other larger vendors. If open source software is required, a body of open source software for election management and tabulation will be created that will lower the barriers to entry into the market and necessarily increase competition. The available software will be one piece that new firms will not need to develop in creating a viable voting system (see § for a discussion of other barriers to entry). Either of these possibilities will make it easier for small firms to enter the market, but also may make the market less appetizing for large vendors. There could be narrower licensing options under a government mandate. That is, if a governmental entity deems it necessary to mandate disclosure, it would seem that they would also specify the terms of such disclosure. This would prohibit vendors from doing their own calculus of what to allow and disallow in the terms of their software license and would mean that they now had to fit their previous business models into the license agreement mandated for the market in which they seek to operate. That leaves the case of trade secrets released against the vendor’s wishes. In Ruckelshaus v. Monsanto Co.,65 the Supreme Court found that the disclosure of trade secrets claimed to be held in confidence by the Environmental Protection Agency (EPA) as part of a pesticide registration program was a 5th amendment “taking'’ of property.66The Court ruled that the “taking'’ existed when Monsanto had a “reasonable investment-backed expectation'’ of confidentiality and that this was formed when the EPA allowed vendors to mark certain information as trade secret through their registration program.67Further, without a reasonable investment-backed expectation, no taking existed. A key feature of the Ruckelshaus notion of “takings'’ is its retroactive nature; that is, the analysis turns on the expectation of confidentiality that the vendor had when submitting information to the government. For voting systems, this means that any disclosure should be done carefully. That is, with rules or laws that mandate disclosure, any efforts to extend the effects of such policy to source code submissions made under a previous regime would likely run afoul of the Ruckelshaus notion of 5th Amendment “taking'’ of trade secrets. Voting systems vendors will likely not find it difficult to make a showing of “reasonable investment-backed expectation'’, as past indications show that vendors have been highly protective of their intellectual property.68From this analysis, the best course of action would be a non-retroactive policy in which the government clearly stated its intent to disclose system source code and also stipulated that any trade secrets would have to be removed by the vendor prior to submission. Ime kho panàyasmanto dvenavuti pàcittiyà dhammà uddesaü àgacchanti. Yo pana bhikkhu anupasampannaü padaso dhammaü vàceyya, pàcittiyaü. Yo pana bhikkhu anupasampannena uttariü 15 dirattatirattaü sahaseyyaü kappeyya, pàcittiyaü. Yo pana bhikkhu màtugàmena sahaseyyaü kappeyya, pàcittiyaü. Yo pana bhikkhu màtugàmassa uttariü chappa¤cavàcàhi dhammaü deseyya, a¤¤atra vi¤¤unà purisaviggahena, pàcittiyaü. Yo pana bhikkhu anupasampannassa uttarimanussadhammaü àroceyya bhåtasmiü, pàcittiyaü. Yo pana bhikkhu bhikkhussa duññhullaü àpattiü anupasampannassa àroceyya, a¤¤atra bhikkhusammutiyà, pàcittiyaü. Yo pana bhikkhu pañhaviü khaõeyya và khaõàpeyya và, pàcittiyaü. uddharàpeyya, anàpucchaü và gaccheyya, pàcittiyaü. Yo pana bhikkhu bhikkhuü kupito anattamano saïghikà vihàrà nikkaóóheyya và nikkaóóhàpeyya và, pàcittiyaü. uttariü appaharite pi ñhito adhiññhaheyya, pàcittiyaü. Yo pana bhikkhu jànaü sappàõakaü udakaü tiõaü và mattikaü và si¤ceyya và si¤càpeyya và, pàcittiyaü. Yo pana bhikkhu asammato bhikkhuniyo ovadeyya, pàcittiyaü. Sammato pi ce bhikkhu atthaïgate suriye bhikkhuniyo ovadeyya, pàcittiyaü. Yo pana bhikkhu bhikkhunåpassayaü upsaïkamitvà bhikkhuniyo ovadeyya, a¤¤atra samayà, pàcittiyaü. Tatthàyaü samayo: gilànà hoti bhikkhunã - ayaü tattha samayo. Yo pana bhikkhu evaü vadeyya: ßâmisahetu bhikkhå 16 bhikkhuniyo ovadantãû-ti, pàcittiyaü. Yo pana bhikkhu a¤¤àtikàya bhikkhuniyà cãvaraü dadeyya, a¤¤atra pàrivaññakà, pàcittiyaü. Yo pana bhikkhu a¤¤àtikàya bhikkhuniyà cãvaraü sibbeyya và sibbàpeyya và, pàcittiyaü. Yo pana bhikkhu 17 bhikkhuniyà saddhiü saüvidhàya ekaddhànamaggaü pañipajjeyya antamaso gàmantaram-pi, a¤¤atra samayà, pàcittiyaü. Tatthàyaü samayo: satthagamanãyo hoti maggo sàsaïkasammato sappañibhayo - ayaü tattha samayo. Yo pana bhikkhu bhikkhuniyà saddhiü saüvidhàya ekaü nàvaü abhiråheyya uddhagàminiü 18 và adhogàminiü và, a¤¤atra tiriyaü taraõàya, pàcittiyaü. Yo pana bhikkhu jànaü bhikkhunãparipàcitaü piõóapàtaü bhu¤jeyya, a¤¤atra pubbe gihãsamàrambhà, pàcittiyaü. Yo pana bhikkhu bhikkhuniyà saddhiü eko ekàya raho nisajjaü kappeyya, pàcittiyaü. Agilànena bhikkhunà eko àvasathapiõóo bhu¤jitabbo. Tato ce uttariü bhu¤jeyya, pàcittiyaü. Tatthàyaü samayo: gilànasamayo, cãvaradànasamayo, cãvarakàrasamayo - ayaü tattha samayo. Dvattipattapåre pañiggahetvà tato nãharitvà bhikkhåhi saddhiü saüvibhajitabbaü. Ayaü tattha sàmãci. Yo pana bhikkhu bhuttàvã pavàrito anatirittaü, khàdanãyaü và bhojanãyaü và khàdeyya và bhu¤jeyya và, pàcittiyaü. Yo pana bhikkhu vikàle khàdanãyaü và bhojanãyaü và khàdeyya và bhu¤jeyya và, pàcittiyaü. Yo pana bhikkhu 19 sannidhikàrakaü khàdanãyaü và bhojanãyaü và khàdeyya và bhu¤jeyya và, pàcittiyaü. Yo pana bhikkhu adinnaü mukhadvàraü àhàraü àhareyya, a¤¤atra udakadantaponà, pàcittiyaü. Yo pana bhikkhu acelakassa và paribbàjakassa và paribbàjikàya và sahatthà khàdanãyaü và bhojanãyaü và dadeyya, pàcittiyaü. Yo pana bhikkhu sabhojane kule anupakhajja nisajjaü kappeyya, pàcittiyaü. Yo pana bhikkhu 20 màtugàmena saddhiü raho pañicchanne àsane nisajjaü kappeyya, pàcittiyaü. Yo pana bhikkhu màtugàmena saddhiü eko ekàya raho nisajjaü kappeyya, pàcittiyaü. càrittaü àpajjeyya, a¤¤atra samayà, pàcittiyaü. Tatthàyaü samayo: cãvaradànasamayo, cãvarakàrasamayo - ayaü tattha samayo. niccapavàraõàya. Tato ce uttariü sàdiyeyya, pàcittiyaü. Yo pana bhikkhu uyyuttaü senaü dassanàya gaccheyya, a¤¤atra tathàråpappaccayà, pàcittiyaü. vasitabbaü. Tato ce uttariü vaseyya, pàcittiyaü. Dirattatirattaü ce bhikkhu senàya vasamàno uyyodhikaü và balaggaü và senàbyåhaü và anãkadassanaü và gaccheyya, pàcittiyaü. Yo pana bhikkhu bhikkhuü bhiüsàpeyya, pàcittiyaü. Yo pana bhikkhu agilàno visibbanàpekkho jotiü samàdaheyya và samàdahàpeyya và, a¤¤atra tathàråpappaccayà, pàcittiyaü. Yo pana bhikkhu orenaddhamàsaü nahàyeyya, a¤¤atra samayà, pàcittiyaü. kammasamayo, addhànagamanasamayo, vàtavuññhisamayo - ayaü tattha samayo. a¤¤ataraü dubbaõõakaraõaü navaü cãvaraü paribhu¤jeyya, pàcittiyaü. cãvaraü vikappetvà apaccuddhàrakaü paribhu¤jeyya, pàcittiyaü. Yo pana bhikkhu sa¤cicca pàõaü jãvità voropeyya, pàcittiyaü. Yo pana bhikkhu jànaü sappàõakaü udakaü paribhu¤jeyya, pàcittiyaü. Yo pana bhikkhu jànaü yathàdhammaü nihatàdhikaraõaü punakammàya ukkoñeyya, pàcittiyaü. Yo pana bhikkhu bhikkhussa jànaü duññhullaü àpattiü pañicchàdeyya, pàcittiyaü. Yo pana bhikkhu màtugàmena saddhiü saüvidhàya ekaddhànamaggaü pañipajjeyya antamaso gàmantaram-pi, pàcittiyaü. sambhu¤jeyya và saüvaseyya và saha và seyyaü kappeyya, pàcittiyaü. pana bhikkhu 22 jànaü tathànàsitaü samaõuddesaü upalàpeyya và upaññhàpeyya và sambhu¤jeyya và saha và seyyaü kappeyya, pàcittiyaü. Sikkhamànena bhikkhave bhikkhunà a¤¤àtabbaü paripucchitabbaü paripa¤hitabbaü. Ayaü tattha sàmãci. yàvad-eva kukkuccàya, vihesàya, vilekhàya saüvattantãû-ti. Yo pana bhikkhu bhikkhussa kupito anattamano pahàraü dadeyya, pàcittiyaü. Yo pana bhikkhu bhikkhussa kupito anattamano talasattikaü uggireyya, pàcittiyaü. Yo pana bhikkhu bhikkhuü amålakena saïghàdisesena anuddhaüseyya, pàcittiyaü. kukkuccaü upadaheyya: ßItissa muhuttam-pi aphàsu bhavissatãû-ti. Etad-eva paccayaü karitvà ana¤¤aü, pàcittiyaü. Yo pana bhikkhu dhammikànaü kammànaü chandaü datvà pacchà khãyanadhammaü àpajjeyya, pàcittiyaü. Yo pana bhikkhu saïghe vinicchayakathàya vattamànàya chandaü adatvà uññhàyàsanà pakkameyya, pàcittiyaü. Yo pana bhikkhu jànaü saïghikaü làbhaü pariõataü puggalassa pariõàmeyya, pàcittiyaü. Yo pana bhikkhu 23 ra¤¤o khattiyassa muddhàvisittassa anikkhantaràjake anãgataratanake pubbe appañisaüvidito indakhãlaü atikkàmeyya, pàcittiyaü. Yo pana bhikkhu ratanaü và ratanasammataü và, a¤¤atra ajjhàràmà và ajjhàvasathà và uggaõheyya và uggaõhàpeyya và, pàcittiyaü. Yo pana bhikkhu santaü bhikkhuü anàpucchà vikàle gàmaü paviseyya, a¤¤atra tathàråpà accàyikà karaõãyà, pàcittiyaü. Yo pana bhikkhu 25 aññhimayaü và dantamayaü và visàõamayaü và såcigharaü kàràpeyya, bhedanakaü, pàcittiyaü. heññhimàya añaniyà. Taü atikkàmayato, chedanakaü, pàcittiyaü. Yo pana bhikkhu ma¤caü và pãñhaü và tålonaddhaü kàràpeyya, uddàlanakaü, pàcittiyaü. 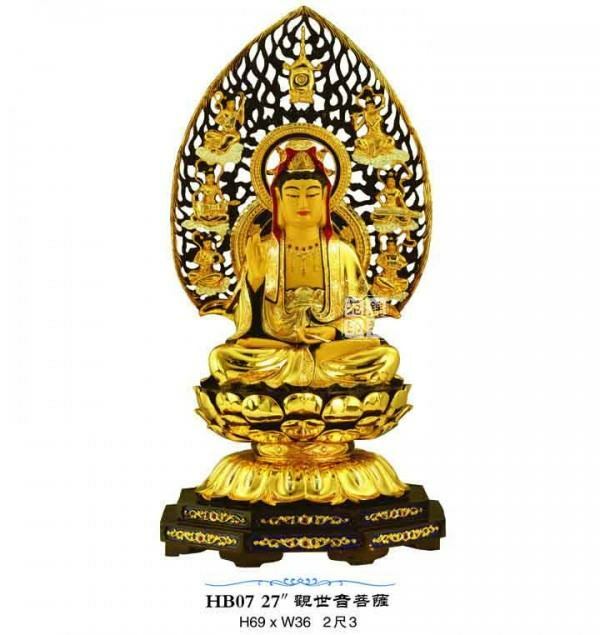 Kaõóupañicchàdiü pana bhikkhunà kàrayamànena pamàõikà kàretabbà. Tatridaü 26 pamàõaü: dãghaso catasso vidatthiyo Sugatavidatthiyà, tiriyaü dve vidatthiyo. Taü atikkàmayato, chedanakaü, pàcittiyaü. Vassikasàñikaü pana bhikkhunà kàrayamànena pamàõikà kàretabbà. Tatridaü 27 pamàõaü: dãghaso cha vidatthiyo Sugatavidatthiyà, tiriyaü aóóhateyyà. Taü atikkàmayato, chedanakaü, pàcittiyaü. Yo pana bhikkhu Sugatacãvarappamàõaü cãvaraü kàràpeyya atirekaü và, chedanakaü, pàcittiyaü. Uddiññhà kho àyasmanto dvenavuti pàcittiyà dhammà. 15 BJT note: Uttari - ChS. 16 BJT note: Therà bhikkhå - ChS. 17 Editor’s note: BJT, Bhikkhå - printer’s error. 18 BJT note: Uddhaü gàmaniü - ChS. 19 Editor’s note: BJT, Bhikkhå - printer’s error. 20 Editor’s note: BJT, Bhikkhå - printer’s error. 21 Editor’s note: BJT, Bhikkhå - printer’s error. 22 Editor’s note: BJT, Bhikkhå - printer’s error. 23 Editor’s note: BJT, Bhikkhå - printer’s error. 24 Editor’s note: BJT, against its normal practice writes the title as two words: Vikàle gàmappavesanasikkhàpadaü. 25 Editor’s note: BJT, Bhikkhå - printer’s error. 26 Editor’s note: BJT, Tatrãdaü - BJT wavers between Tatridaü & tatrãdaü, for the sake of consistency the former spelling has been preferred here. 27 Editor’s note: BJT, Tatrãdaü - see note above. 28 Editor’s note: BJT, Tatrãdaü - see note above. administrative, creative and/or technical services. assistants for help in advancing their businesses. processes, a virtual assistant small business may be the perfect business idea for you. Startup costs are minimal, especially if you already have a home office set up. You can create a business with flexible work hours. There are hundreds of high-quality resources online to advance your skills, knowledge and experience. You get to use exciting and fun software and tools every day. You can grow your business to the point where you outsource extra work to subcontractors. There is no specific education, training or certifications required to become a virtual assistant. You can provide ongoing services for your clients and create long-term relationships. It can be difficult to get clients when you first start your business. You may find that you’re competing with offshore support people who charge a very low hourly rate. As the industry grows, so does your competition. It can be difficult to identify the right rate to charge. You have to be willing to continuously keep up with technology and expand your knowledge. You have to be careful to maintain independent contractors status as defined by the IRS. You may find it challenging to work with clients who are used to hiring employees instead of delegating to another business owner. Your work could be high-stress and deadline-driven. You may need liability insurance, depending on the services you offer. Open and disclosed source software present options for improving the performance and public scrutiny of computerized voting systems as they become even more complex. In this section we try to ascertain potential benefits and risks involved in these two models and use this information to evaluate various policy options. Here, we highlight the risks and benefits of both open source and disclosed source software as used in voting systems, by regulatory or legislative mandate or by vendor choice. Disclosed code provides for enhanced access, but does not necessarily support the robust testing that open source code promotes, due to possible restraints on the making of derivative works — such as compiled or modified code — and other manipulations key to certain forms of testing. Disclosed source code regimes provide vendors more flexibility to protect the intellectual property interests than standard open source licenses, which require at a minimum the abilities to copy, modify, prepare derivative works and distribute source code. Open source software has interesting implications for competition in the market, as the role of copyright and trade secrecy in limiting competition is removed. Therefore a vendor’s competitors would be free to modify their code and compete against them with it. Naturally, intellectual property claims will, in general, cease to be a hurdle in commenting on, evaluating, using and procuring these open source voting systems. This is significant given recent efforts by vendors to use IP claims to frustrate oversight and testing of voting systems.57Few, if any, of these cases would have been an issue with an open source voting system as in each case the user of the system would be able to exercise their rights to copy, modify and distribute the software of the system. With disclosed source, we would not have the clear cut case where intellectual property claims become less of an issue, as such claims would now turn substantially on the substance of the disclosed source license the vendor chose to use; it is likely that a vendor would choose to restrict rights to improve its competitive position. Open or disclosed source code voting systems will need to be accompanied by contingency planning in the face of system flaws. Simple flaws may be innocuous enough to allow for the usual running of the election. For serious flaws, such as if there were any suspicion that the flaw will affect the voter experience or the casting, storage and counting of vote data, there will need to be a mechanism to mitigate serious vulnerabilities close to an election. Among the options here would be a “postpone, then patch'’ strategy where the election in question would be postponed, a fix for the vulnerability developed, the system quickly recertified at the Federal and State level and then the new system used in the postponed election.60Another option, more simple than the last, would be for each jurisdiction to be prepared to run the entire election using paper ballots and hand counting. Naturally, jurisdictions using closed source products likely face these problems — known or unknown — now and will want to consider and plan for contingencies; open and disclosed source code raise the stakes of identified flaws. Pubbakaraõapubbakiccàni samàpetvà imissa nisinnassa bhikkhusaïghassa anumatiyà Pàtimokkhaü uddesituü ajjhesanaü karomi. Okàsa me bhante thero dethu Vinayakathaü kathetuü. uposathassa etàni ~ pubbakaraõan-ti vuccati. tasmiü na honti pattakallan-ti vuccati. Pubbakaraõapubbakiccàni samàpetvà desitàppikassa samaggassa bhikkhusaïghassa anumatiyà pàtimokkhaü uddisitum-àràdhanaü karoma. uddisissàmi. Taü sabbeva santà sàdhukaü suõoma manasikaroma. bhavitabbaü. Tuõhã bhàvena kho panàyasmante parisuddhà-ti vedissàmi. àpatti àvãkàtabbà. âvãkatà hissa phàsu hoti. samàdapeyya - ayam-pi pàràjiko hoti, asaüvàso. vilapin-tiû, a¤¤atra adhimànà - ayam-pi pàràjiko hoti, asaüvàso. Uddiññhà kho àyasmanto cattàro pàràjikà dhammà. Yesaü bhikkhu a¤¤ataraü và a¤¤ataraü và àpajjitvà na labhati bhikkhåhi 7 saddhiü saüvàsaü. Yathà pure, tathà pacchà, pàràjiko hoti, asaüvàso. Tatthàyasmante pucchàmi: kaccittha 8 parisuddhà? Parisuddhetthàyasmanto, tasmà tuõhã, 9 evam-etaü dhàrayàmi. Ime kho panàyasmanto terasa saïghàdisesà dhammà uddesaü àgacchanti. Sa¤cetanikà sukkavisaññhi, a¤¤atra supinantà, saïghàdiseso. và jàrattane và, antamaso taïkhaõikàya pi, saïghàdiseso. kàrayamànena sassàmikaü attuddesaü bhikkhå abhinetabbà vatthudesanàya. adhikaraõaü hoti, bhikkhu ca dosaü patiññhàti, saïghàdiseso. lesamatto upàdinno, bhikkhu ca dosaü patiññhàti, saïghàdiseso. bhedanasaüvattanikaü và adhikaraõaü samàdàya paggayha aññhàsi. pañinissaggàya. Yàvatatiya¤-ce samanubhàsiyamàno taü pañinissajeyya, 11 iccetaü kusalaü. No ce pañinissajeyya, saïghàdiseso. suyyanti ca. Kulàni càyasmatà duññhàni dissanti ceva suyyanti ca. dosagàmino ca bhikkhå, mohagàmino ca bhikkhå, bhayagàmino ca bhikkhå. pàpasamàcàro. âyasmato kho pàpakà samàcàrà dissanti ceva suyyanti ca. taü pañinissajeyya iccetaü kusalaü. No ce pañinissajeyya, saïghàdiseso. pañicchàdeti, tàvatihaü tena bhikkhunà akàmà parivatthabbaü. bhikkhå gàrayhà. Ayaü tattha sàmãci. Ime kho panàyasmanto dve aniyatà dhammà uddesaü àgacchanti. vadeyya, tena so bhikkhu kàretabbo. Ayaü dhammo aniyato. vadeyya, tena so bhikkhu kàretabbo. Ayam-pi dhammo aniyato. Uddiññhà kho àyasmanto dve aniyatà dhammà. Ime kho panàyasmanto tiüsa nissaggiyà pàcittiyà dhammà uddesaü àgacchanti. ubbhatasmiü kañhine, bhikkhuno paneva akàlacãvaraü uppajjeyya. nikkhipeyya, satiyà pi paccàsàya, nissaggiyaü pàcittiyaü. Yo pana bhikkhu a¤¤àtikàya bhikkhuniyà puràõacãvaraü dhovàpeyya và rajàpeyya và àkoñàpeyya và, nissaggiyaü pàcittiyaü. Yo pana bhikkhu a¤¤àtikàya bhikkhuniyà hatthato cãvaraü pañiggaõheyya, a¤¤atra pàrivaññakà, nissaggiyaü pàcittiyaü. Yo pana bhikkhu a¤¤àtakaü gahapatiü và gahapatàniü và cãvaraü vi¤¤àpeyya, a¤¤atra samayà, nissaggiyaü pàcittiyaü. Tatthàyaü samayo: acchinnacãvaro và hoti bhikkhu naññhacãvaro và - ayaü tattha samayo. pavàreyya, santaruttaraparamaü tena bhikkhunà tato cãvaraü sàditabbaü. Tato ce uttariü 12 sàdiyeyya, nissaggiyaü pàcittiyaü. acchàdehãû-ti. Kalyàõakamyataü upàdàya, nissaggiyaü pàcittiyaü. Yo pana bhikkhu Kosiyamissakaü santhataü kàràpeyya, nissaggiyaü 15 pàcittiyaü. Yo pana bhikkhu suddhakàëakànaü eëakalomànaü santhataü kàràpeyya, nissaggiyaü pàcittiyaü. navaü santhataü kàràpeyya, nissaggiyaü pàcittiyaü. kàràpeyya, a¤¤atra bhikkhusammutiyà, nissaggiyaü pàcittiyaü. Yo pana bhikkhu a¤¤àtikàya bhikkhuniyà eëakalomàni dhovàpeyya và rajàpeyya và vijañàpeyya và, nissaggiyaü pàcittiyaü. Yo pana bhikkhu jàtaråparajataü uggaõheyya và uggaõhàpeyya và upanikkhittaü và sàdiyeyya, nissaggiyaü pàcittiyaü. Yo pana bhikkhu nànappakàrakaü råpiyasaüvohàraü samàpajjeyya, nissaggiyaü pàcittiyaü. Yo pana bhikkhu nànappakàrakaü kayavikkayaü samàpajjeyya, nissaggiyaü pàcittiyaü. Dasàhaparamaü atirekapatto dhàretabbo. Taü atikkàmayato, nissaggiyaü pàcittiyaü. Yo pana bhikkhu ånapa¤cabandhanena pattena a¤¤aü navaü pattaü cetàpeyya, nissaggiyaü pàcittiyaü. bhikkhu patto, yàva bhedanàya dhàretabboû ti. Ayaü tattha sàmãci. paribhu¤jitabbàni. Taü atikkàmayato, nissaggiyaü pàcittiyaü. Yo pana bhikkhu bhikkhussa sàmaü cãvaraü datvà kupito 16 anattamano acchindeyya và acchindàpeyya và, nissaggiyaü pàcittiyaü. Yo pana bhikkhu sàmaü suttaü vi¤¤àpetvà tantavàyehi cãvaraü vàyàpeyya, nissaggiyaü pàcittiyaü. nikkhipitabbaü. Tato ce uttariü nikkhipeyya, nissaggiyaü pàcittiyaü. uttariü vippavaseyya, a¤¤atra bhikkhusammutiyà, nissaggiyaü pàcittiyaü. Yo pana bhikkhu jànaü saïghikaü làbhaü pariõataü attano pariõàmeyya, nissaggiyaü pàcittiyaü. Uddiññhà kho àyasmanto tiüsa nissaggiyà pàcittiyà dhammà. 2 The bracketed headings for the various sections are supplied from the ChS edition of the Bhikkhupàtimokkhapàëi. 4 The following 5 lines are not in BJT. 5 BJT note: This reading is not seen in some books. 7 Editor’s note: BJT, Bhikkhuhi here, elsewhere bhikkhåhi. 8 Editor’s note: BJT, Kaccãttha here, elsewhere kaccittha. 9 Editor’s note: BJT, Tuõhi here, elsewhere tuõhã. 10 Editor’s note: this is the end title in BJT, the heading simply reads Pañhamasaïghàdisesà, but all the rest of these training rules are given distinctive titles. 11 BJT note: Pañinissajjeyya - ChS. 13 BJT note: Cãvaracetàpanaü - Thai. 14 Editor’s note: BJT, patiggaõh- here, but pañigaõh- in NP5 above. 15 Editor’s note: BJT, Nissaggãyaü, printer’s error. 16 Editor’s note: BJT, Kåpito - printer’s error.